SID Global was initially founded as RFB-RFID, a leading high tech enterprise specializing in R&D and manufacturing of RFID readers. 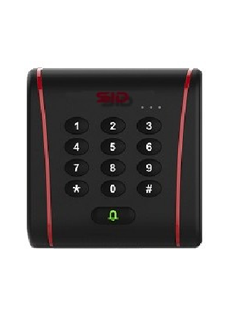 Recognizing the immense potential in mobile & wireless technology, SID Global Co Ltd (Super Intelligent Device) was established in 2004 by the merger of RFB-RFID, RF-iDent and Print Cube Technology, to form one of the largest manufacturers of RFID readers and mobile printers in the region. Block A, 4th Floor, Zhong Jin Industrial Park, NO.3 PuSha South Road. ShaHu Village, TangXia Town, DongGuan City, GuangDong Province, China. Room 1004, 10th Floor, Building B Block 3, Tian-an-Yun-Gu Building, XueGang North Road, BanTian, LongGang District , Shenzhen, China. 7G, Jalan Industrial PBP 1/2, Taman Industri Pusat Bandar Puchong, 47100 Puchong, Selangor, Malaysia. Copyright © 2016 SID Global. All rights reserved.